Brand: India Tree IT-10319 Units: 3/4 lb. bag Fondant & Icing sugar is cane sugar pulverized to 1/100 the size of normal powdered sugar grains. Especially formulated for the baking trade, it produces smoother and glossier icings and fondants than can be achieved with regular powdered sugar. Sit it over berries or use it to dust a dessert plate. Contains 3.22 percent corn starch to prevent caking. From India Tree Products. 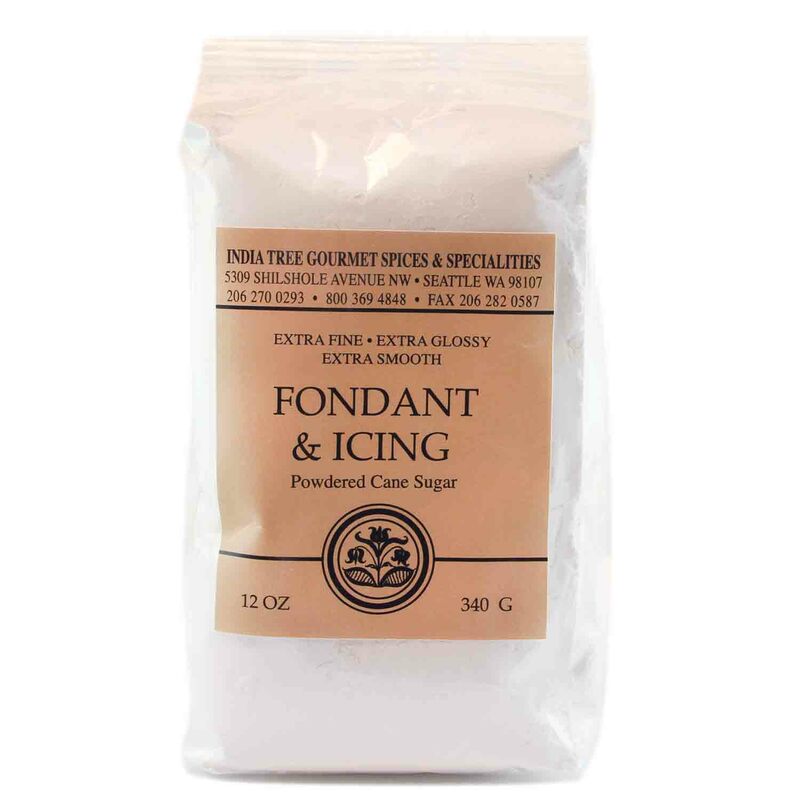 Fondant & Icing sugar is cane sugar pulverized to 1/100 the size of normal powdered sugar grains. Especially formulated for the baking trade, it produces smoother and glossier icings and fondants than can be achieved with regular powdered sugar. Sit it over berries or use it to dust a dessert plate. Contains 3.22 percent corn starch to prevent caking. From India Tree Products. Ingredients: Cane Sugar, Contains 3.22% Corn Starch (To Prevent Caking).